Smart and sassy with creamy MIRACLE WHIP Dressing, this potato salad is the perfect potluck bring-along. Cook potatoes in boiling water 15 to 18 min. or just until potatoes are tender; drain. Rinse with cold water until cooled; drain well. Combine remaining ingredients in large bowl. Add potatoes; mix lightly. 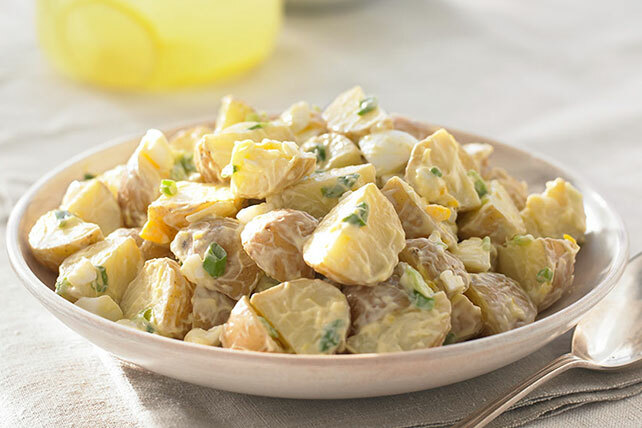 This tasty potato salad is delicious served either warm or chilled. We recommend serving it chilled in warm weather and warm in cold weather.